Brainwaves is a new BSN feature where we interview eminent neuroendocinologists about their work, passions and tips for budding scientists. Interview by Agnes Becker, BSN Communications Officer. Helen Christian is a Lecturer at, and Deputy Director of, the Department of Physiology, Anatomy and Genetics at the University of Oxford. She has been a BSN member for 24 years and sits on the BSN Board of Trustees as the Journals Secretary. 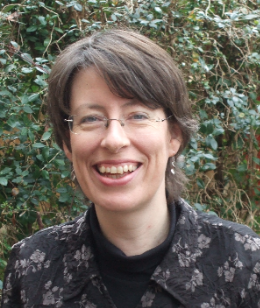 Helen enjoys her research, singing, playing the viola and spending time with her family. I work on the feedback mechanisms of stress hormones, glucocorticoids in the pituitary gland, a gland in the brain that controls other glands in the body. The pituitary is fascinating in the control of so many important endocrine functions: growth, stress, reproduction etc. and it excites me how these roles are integrated. Feedback control of the pituitary is important for the precise regulation of endocrine systems and health. My PhD studied a protein called Annexin 1 and the role it plays in the negative feedback mechanisms of glucocorticoids. These mechanisms are important for the control of stress and protecting our health from the potentially damaging consequences of long-term exposure to glucocorticoids. How do you tend to form new research ideas? What inspires you most? Ideas come from department research talks, often in completely different research areas. Teaching is a good way to get new ideas – students are great at asking questions that challenge assumptions. What has been your most important or surprising scientific finding? Our work on non-genomic estrogen signaling in the pituitary. Estrogen actions in the pituitary take hours, even days but we were seeing much faster effects on prolactin secretion from a subset of prolactin-secreting cells. The cells were structurally similar to those in prolactinoma tumours and this pathway may play a part in development of estrogen-induced prolactinomas. Using the electron microscope (EM) we were able to identify different lactotroph cell types secreting prolactin and could pinpoint exactly where hormone secretion occurs. We are fortunate to have a 3view-3D EM in Oxford. We are currently looking at the 3D organization of lactotrophs in the pituitary with the challenge of interpreting the large numbers of images this generates. Term-time is busy and varied but terms are short, eight weeks long. I have many different roles in teaching, examining, graduate administration and until recently the Department Athena Swan Lead. During the rest of the year I spend about 80% of my time on research. What methods do you/your lab specialise in? Transmission electron microscopy (EM) and 3view-3D EM. I still get excited looking at new specimens. Cells are beautiful when seen at the EM level. Who inspired you into neuroendocrinology? I did my undergraduate degree at Edinburgh where I was fortunate to have been taught by Alison Douglas and John Russell. During my PhD I worked with Julia Buckingham, John Morris and Glenda Gillies. All of these people were busy, eminent scientists but they still had time for me as a student. They would be there to discuss data, experiments, and encourage me to go to meetings (John Morris encouraged me to go to my first BSN meeting during the first year of my PhD). Their qualities of generous support, encouragement and integrity still inspire me today. How has the BSN impacted your career? I have found the BSN to be an extension of the inspiring, supportive network I found in my undergraduate and PhD supervisors. BSN members are generous with their engagement at meetings, poster sessions etc. I have benefitted from BSN grants, especially for getting small projects off the ground. This year, 2019, marks Journal of Neuroendocrinology's 30th Anniversary. What is your favourite Journal of Neuroendocrinology paper from the last 30 years? Carl Denef’s ‘Paracrinicity: 30 years of cellular pituitary crosstalk’ doi/10.1111/j.1365-2826.2007.01616.x It is a great resource for all things paracrine in the pituitary that I refer to regularly to check what is known of a particular paracrine signalling pathway. Outside of your area, which other established or up-and-coming areas do you find exciting? I think advances in super-resolution microscopy and live cell imaging are very exciting for understanding dynamic cell processes. Seeing these real-time influences of hormones on cells will add hugely to our knowledge. Which book has had the biggest impact in your life? This is hard! I have the 1986 book ‘Morphology of hypothalamus and its connections’ eds. Ganten & Pfaff on repeat loan from the science library here. I love the pictures! What advice would you give an aspiring neuroendocrinologist? Do the things the BSN promotes! Visit other labs, build a network of researchers where you can go to get help and guidance. Be generous in your collaborations. Learn from everything – the good and the bad experiences. Say yes to all speaking opportunities – never miss a BSN meeting! What do you hope your academic legacy will be? I hope I carry on the spirit of those who inspired me – to never skimp on giving feedback and encourage the next generation of neuroendocrinologists.